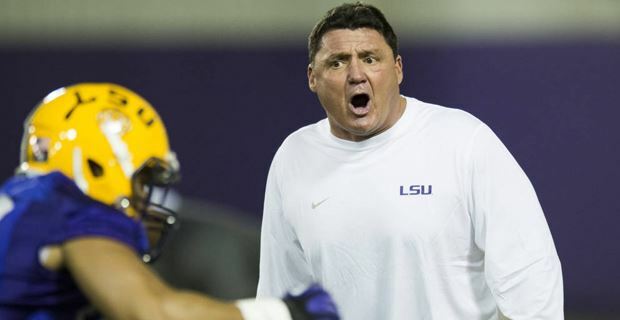 Shirts With Random Triangles: Report: LSU names Ed Orgeron as permanent head football coach. Sources confirmed to ESPN that LSU will promote interim coach Ed Orgeron to a full-time role after he went 5-2 as longtime coach Les Miles' replacement.The school has scheduled a news conference for 1 p.m. ET Saturday. Orgeron's hiring was first reported by FootballScoop.com and Louisiana newspaper The Advocate. Orgeron was formerly head coach at Ole Miss from 2005-2007, where he went 10-25 in three seasons. He served as interim head coach at USC following the firing of Lane Kiffin.